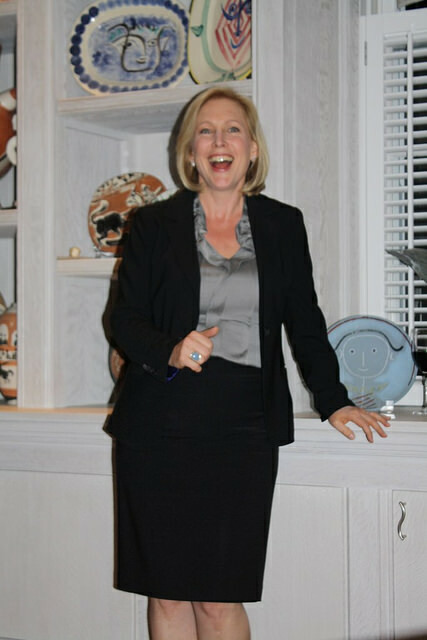 Last night at the home of Connie Milstein and J.C. de La Haye St. Hilaire, friends and Washington media gathered to toast Sen. Kirsten Gillibrand on her recent publication of Off the Sidelines. 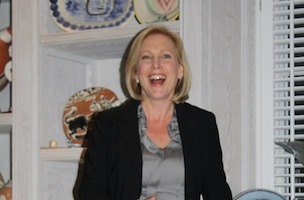 Milstein introduced Sen. Gillibrand, who offered remarks and signed copies for attendees. In attendance: CBS’s Rita Braver, MSNBC’s Andrea Mitchell, TIME’s Jay Newton-Small, ABC’s Polson Kanneth, CNN’s Matt Dornic, Tammy Haddad, SKDKnickerbocker’s Kelley McCormick, Kyle Volpe, POLITICO’s Daniel Lippman, US News’ Nikki Schwab, The Hill’s Judy Kurtz, Yahoo’s Garance Franke-Ruta, Jack and Susanna Quinn, Karen Finney, Kathleen Sebelius, Gen. George Casey and wife Shelia, Bob Barnett, John Coale, Mark Ein, and Jayne Sandman.